Effebi di F. Beretta produces shotguns and carbines into the factory in Concesio, at the beginning of Valtrompia. We also manufacture diabolo pellets for air-rifle carbines and realize also perfect replica of stocks and forends of the most popular trade-marks models. Effebi produce shotguns for hunting and shooting in the medium to high price range, also makes a line of top quality side-by-side manufactured using the mechanical parts originally made by Breda of Rome and purchased by Effebi some years ago. Effebi believes that this model named Gemini represents the best that can be achieved in the specialized sector. Domed, flat and pointed head but also Silver-Jet and Rul-Jet in two calibers: 4,5 mm e 5,6 mm. For shotguns of the most popular arms producers with fixing pin in 2,6 and 3,0 mm. For shotgun, carbine and gun, and also oil cleaner and cold blue liquid. Perfect replica for Beretta, Benelli, Breda, Browning, Franchi, Perazzi shotguns. 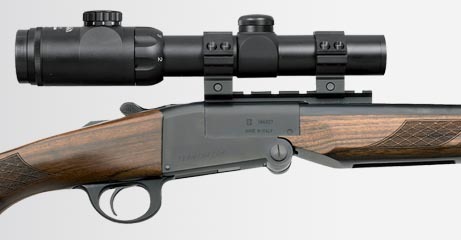 A wide range of models and key, for major brands of shotguns. First choice materials and accurate vulcanization gives this product the best performance. In addition to the shotguns & carbines, through partnerships with other companies, Effebi di F. Beretta can also offer a wide range of important parts for a variety of weapon types like smooth-bored barrels, rifled barrels, ribs, side-locks.